The sustenance we provide our body offers a lot to our brain as well. Mental health has been linked to diet time and again and this is why you need to ensure that you pay attention to what you eat. Whether you are young or old, you need to eat fortified food, which gives you the power and energy to do what you want and succeed in your ventures. Remember that it isn’t necessary that you only eat these foods if you’re experiencing a slight cognitive decline or memory loss because they can very well be used to improve your psychological health as well. Though you’ll find many articles on the internet where the author discusses right foods for brainpower, we take a different approach and are going to tell you about them depending on the benefits they provide. So, without any further ado, let’s discuss the different ways in which your diet can help boost your mind’s ability. Perhaps one of the most common things you will find people wishing for is enhanced memory. People all over the world go through extensive exercises and stimulating games that help with improving memory. However, one thing that most don’t know is that you can improve your cognition just by consuming the right kinds of foods. 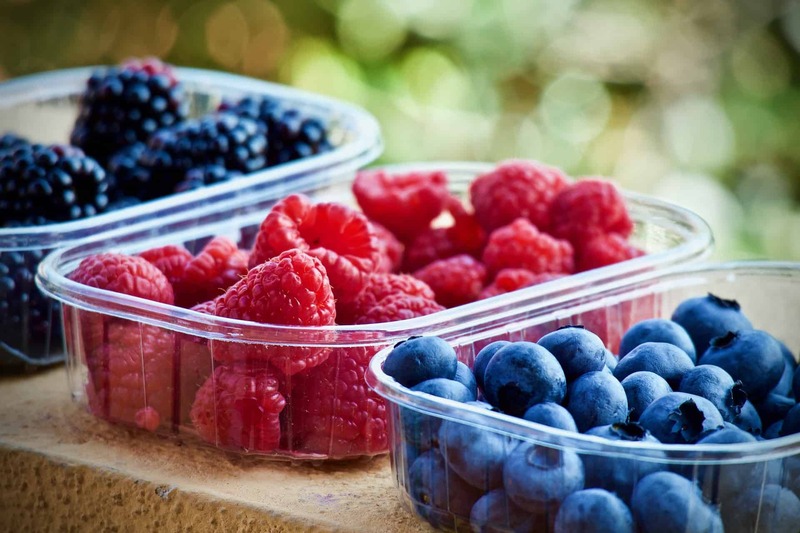 Berries: These, sometimes sweet, sometimes tangy fruits are rich in flavonoids that help improve memory according to research published in 2012 in the Annals of Neurology. The researchers, who observed women, found that those who had two or more serving of berries each week experienced a delayed reduction in memory by almost two-and-a-half years. Walnuts and almonds: Nuts are famous for being one of the most excellent sources of healthy fats and proteins. However, though all nuts are beneficial, two which are exclusively linked to memory are walnuts and almonds. According to a UCLA study conducted in 2015, the more walnuts you eat, the higher your cognitive scoring. Almonds are also mandatory to be consumed in the morning in some cultures because they believe that the nut makes the mind sharper and improves retention. Leafy vegetables: One of the reasons why most people don’t feel enthusiastic about dieting is because they fear they will always need to eat tasteless vegetables. However, green leafy vegetables, when consumed in moderation, can prove to be vital in circulation and synthetization of neurotransmitters. The vitamin E and C act as an anti-aging agent that will help you improve your memory. Nerve damage is a serious issue that people battle with every day. Chronic pain and painful conditions such as sciatic nerve pain are becoming more and more common. So even though it’s our body that experiences these conditions, their central point comes from the brain. This is why, if you or a closed one is going through nerve damage pain, it is crucial that you tell them about the things that can help both their mind and body heal. Here a few foods you can try. Items rich in vitamin C: Everything from guavas, papayas, bell peppers, spinach, and kale are full of vitamin C. Though most people usually think that this type of vitamin is only found is sour tasting food items, the truth is that there are a lot of other things you can incorporate in your diet other than lemons and grapefruit to ensure that you’re taking enough vitamin C.
Items rich in vitamin B12: Another vitamin that you should consider taking is vitamin B12. Unfortunately, B12 deficiency has become quite common, and you can’t detect it unless you know the signs and symptoms. A body that doesn’t have sufficient amount of the required vitamin will make the brain weaker and hence lead to mild, moderate or even severe nerve damage. However, if you make sure that you eat dairy products, meat, and shellfish, you will fulfill what your body needs and improve your brain power in the process. We’ve all been there. The situation where we weren’t able to focus and concentrate no matter how hard we tried. Although most of us all love to be procrastinators, people who even tend to be responsible for their work sometimes find it challenging to improve their mental focus. What if there were some specific foods which could help you get your attention back if you eat them regularly? You’d grab the chance, immediately, right? So, here are some foods which are proven to enhance concentration so you can meet every deadline. Avocados: Thanks to the internet, most of us know that avocados contain healthy fats that are good for the body. But, did you know that this fruit can do wonders for your mind too? Yes, you read that right. Because it has a high vitamin K and folate content, it not only prevents blood clotting and saves you from a stroke but also improves levels of concentration. Beets: Beets are perhaps the most underrated vegetables. Most people avoid this vegetable just because it is a little sweet and so they are clueless about how to use them other than as juices. While there’s nothing wrong in consuming the juice, you should try and incorporate it in your salads and others sidelines by roasting it to bring out the flavor. Beets reduce inflammation and enhance blood flow to both your body and mind and enhance mental focus as a result. Finally, if you want to enhance your mind’s abilities and thinking power, you need to look into the following food items. Broccoli: Remember the time when you were sitting at the dinner table, and your mother was waiting for you to finish your broccoli and other greens? It turns out, like always, she had yours, and your brain’s best interest in mind. This vegetable, though not-so-good in taste, is full of vitamin K and choline, the two things that are known to keep your mind sharp. Another interesting fact about broccoli is that it has an excellent portion of folic acid, which is vital for keeping dementia and Alzheimer’s at bay. Salmon: An essential part of your weekly meals should be foods that are rich in omega 3 fatty acids. As per the New York Times, journal Neurology decreased levels of omega 3s is linked to poor performance and a smaller brain volume. One of the best sources for these necessary fatty acids is salmon. Though most fishes contain omega 3, salmon is ideal when you require a reasonable amount. So, if you’d like to improve your mental cognition, memory, focus, and stay away from nerve damage, incorporate the food items we’ve talked about immediately. Once you make it a habit of eating all of these things, you will begin to feel the change in your mental abilities and power.